Here’s a quick primer on using Script mode in Scrivener. For a new project, I’d suggest choosing a screenplay template, which has things set up for you, including the compile settings. It also has a Screenplay Format document at the top of the Binder that explains how to use it. For existing documents that were created in regular writing mode, Script mode must be applied separately to each document. A little annoying maybe (though there’s an easy keyboard shortcut: Command+8 on the Mac and Ctrl+4 in Windows), but it means you can mix in regular documents with scripts in your Manuscript (or Screenplay) folder. If you're viewing a script document and you add a new document, it will be a script document also. To switch out of Script mode to add a regular text document, use the same menu command or keyboard shortcut mentioned above. There are several ways to apply script elements. You can use the footer menu, or the Tab and Enter keys, or a combination of both. When you’re in one of the Script modes, the footer bar in the Editor changes. The bottom right pop-up menu lets you choose the element to apply. 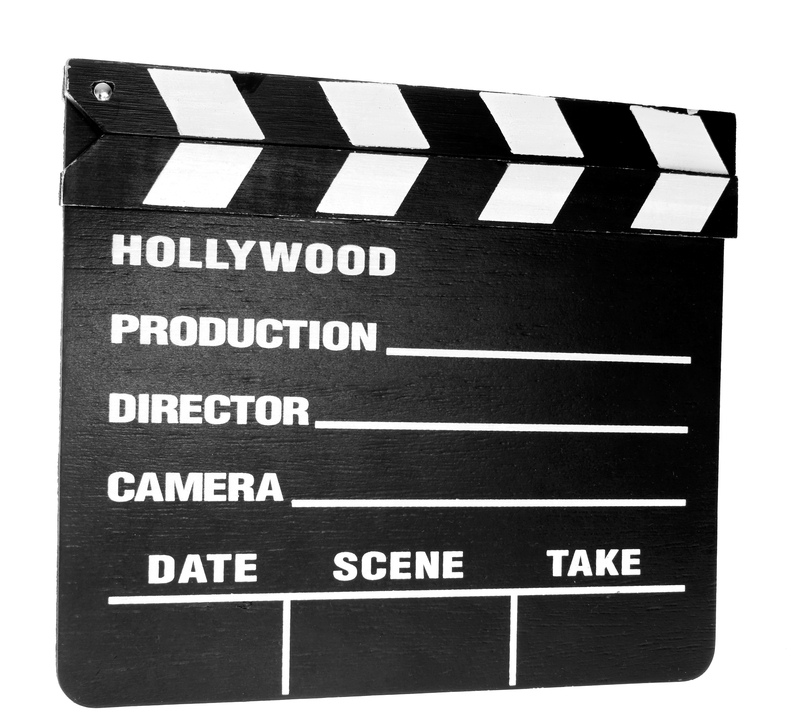 The following are available when you're using the Screenplay script format: Scene Heading, Action, Character, Parenthetical, Dialogue, Transition, Shot, General Text, or General Text (Centered). Notice that each element has a letter next to it. When you call up the elements menu, either by clicking it or using Shift+Command+Y (Ctrl+ \ in Windows), you can then press the associated letter on the keyboard to select the desired element. So if you wanted to switch to Dialogue, you would call up the menu, then press D to switch to dialogue mode. Once you have the element letters memorized (or you might want to print or write out a list), you can press the Function key and the letter at the same time to change to that script element, without having to call up the menu first. The center of the footer shows which element will be created when you press either the Tab key or the Enter (Return) key. Generally, pressing Enter changes the next paragraph to the element that makes the most sense based on the line you’re currently writing. If you’re in an Action segment and you press Enter, it creates another Action line. If you’re in a Parenthetical element and press Enter, it creates a Dialogue element. You can import scripts (File→Import→Files) from Final Draft 8+ as an FCF file. For earlier versions of Final Draft, or for other scriptwriting programs, you can import the script as an RTF. For anything but an FCF file, after importing, go to Format→Scriptwriting→Screenplay to format it properly. Then go to Format→Scriptwriting→Recapitalize Script to capitalize the scene heading and character elements automatically. To change options, go to Format→Scriptwriting→Script Settings. From here you can create your own elements, edit or remove existing ones, and reorder them. These settings are only saved to your current project unless you choose Manage→Save For Use With Other Projects. You export through Compile just like with any Scrivener project, but Scrivener offers screenplay formats. If you created a project from a Scriptwriting template, the default compile settings are optimized for scripts. For more on Script mode, a great place to start is the Scriptwriting chapter of the Scrivener Help manual. Scrivener users with some experience might check out comic writer Antony Johnston's incredibly detailed discussion of his writing process in Scrivener. You might also see what you can find on the L&L forums. And if you’re involved with ScriptFrenzy, I believe they have a Scrivener forum. Now go open a new project and play until you get comfortable with it. That's the best way to learn. Hi Gwen. Useful tips here. Thank you. Do you know of a way of auto-numbering scenes in screenplay mode? ie. 1) INT. BEDROOM. DAY. I’ve been looking through all the menus without success. Any pointers gratefully received. Chris, I’m glad you found the post helpful. I don’t know of a way to auto-number the scenes, either within the text or in the Binder. Auto-numbering works in compile if you just want it for a printout/output, though. Good luck! Spec scripts should NOT be scene numbered. That’s the work of the First Assistant Director, who will split things in ways a writer might not. (e.g. close ups worth shooting an insert on, slug lines to split one side of a door from the other – often for scheduling or other production reasons, etc.) Production elements like scene numbering are best left out of a script a writer hopes to sell. The focus is on story not production at that point. Congratulations on the option, Phil! If you have each scene in its own document, you could rename the document to its corresponding scene number. Or type the number at the top of each scene, maybe. But there’s no automatic way to do this right now. For the developer’s reasoning–and what’s eventually coming–you might find this post interesting: http://www.literatureandlatte.com/forum/viewtopic.php?f=5&t=31961&hilit=scene+numbers. Thanks for the tip, Gwen. I managed to get the pagination right. Next, I’ll try to figure out widows and orphans — because stage play scripts should not have a section of dialog simply continue at the top of the next page (the character’s name needs to be repeated on the next page). I know that you are not Scrivener support, so this comment is not a request for free consulting, Gwen! I need to do my own looking first. Scrivener looks like a keeper for playwrights if that widows and orphans issue has a solution. Thank you, Gwen. I have purchase Scrivener, hoping to use it for both stage plays and for a book that can be assembled in any of several ways (finally, I feel a bit in control of it). As for playwriting, Scrivener still has some kinks, unless I have just missed the fixes. One minor problem is that the script template does not comply with the Dramatist Guild suggested format, but there are formatting procedure problems that seem more important. I appreciate your earlier responses. If I get a handle on the playwriting issues, I’ll let you know (in case you are planning a second edition). I found one very specific thing here on your blog I have not been able to find anywhere else: how to call up the elements box and choose the desired element by using short-cut keys. Sorry to bother you again, but might a character be missing in your explanation of how to call up the Elements menu in the Windows version? This is what you write: “(Ctrl+ in Windows)”, and I have tried control and + together, and Crtl with many other keys, but to no avail. Is it perhaps “Ctrl+ some other key as well? The second part, about D for dialogue etc works great. Super, thanks a lot :-). In my screenplay project, in scene 1 it has the footer that gives me the options of different elements but when I made a new page for scene 2, it doesn’t show the different elements, it just shows the word count. I’ve looked everywhere to figure out what’s wrong but I can’t figure it out. Any help would be much appreciated. Brittany: You just have to change the document type to screenplay. Select the document and go to Format–>Scriptwriting–>Screenplay. If you have a document that’s set to Screenplay selected when you create a new document, the new document should default to Screenplay mode. But if not, you can use the menu option I just mentioned or the shortcuts listed in the post above. Good luck! I just found a problem when I tried to export my screenplay into a pdf. There is a long break between some of my scenes (depending on how long the scenes are) How do I change so that the next scene comes directly after the previous one? I have looked around but haven´t found the answer. Jesper Jee: The first thing I’d check is the Separators tab in Compile. Make sure the Text separator is set to either Single Return (no break at all) or Empty Line (one blank line between docs/scenes). Also, check that you don’t have extra paragraph returns at the end of your scenes by clicking in the editor and going to Format–>Options–>Show Invisibles. HTH! I’m a screenwriter and I’m trying out scrivner. I’m trying to see if there is a way to get something I imported as an outline, a list of scenes with int, ext, – basically a beat sheet, broken down onto individual notecards, so each beat description comes up on it’s own notecard – the way screenwriters write out notecards so they can rearrange them for flow – I have all the description – maybe 70-100 scenes and I’m wondering if I can get around cutting and pasting and/or how to get a page of blank notecards to even come up. Helene: A notecard is created for each document you create, so as we add new documents, you’ll have corresponding notecards as well. To split up the outline you imported, click where you want to make the first “cut” and go to Documents–>Split. Everything below your cursor is split into a separate document. Click the next spot and repeat until you have all of your beats in separate documents. To see the notecards, click on the Draft folder (might be called Screenplay or Script or Manuscript, depending on which template you chose when you created your project). Scrivener should go to Corkboard mode, but if it doesn’t, go to View–>Corkboard. The description in the notecards (which is the same as the synopsis section in the Inspector) is different from the text of the document and has to be entered separately, either in Corkboard view or in the Inspector under the Synopsis heading. Here’s a question out of left field. I love Scrivener for Screenplay writing, but I am wondering if there is a way to limit the effects of the delete / backspace key. I think the features of Scrivener outweigh Final Draft, but one thing FD has is it will restrict delete or backspace in certain fields, i.e., you can’t accidentally backspace a character name into the dialogue above. Whenever I do this in Scrivener, there is no undo and no going back. If I hit the enter key, the character name does not go back to the default position and there is a lot of pain. Same thing happens on action and dialogue. It’s easy to say, “don’t hit the backspace / delete button, dummy”… but that is something that happens. I can’t be the only one… and there is a reason why Final Draft has negated this keystroke in a few situations automatically. Wish I had a better answer for you. Good luck with your screenplays! Hi there, I have encountered an issue where when I compile a screenplay into pdf format, the pages start and end incorrectly ie. dialogue overlapping from the end of one page onto the start of another. is there a way of knowing when writing scenes where the page ends once it becomes a pdf file so I can write page by page in scrivener and know where an actual page ends so as to not overlap text which I believed is a frowned upon practise. Hi, James. If you’re using a Mac, you could try writing using Page View (View>Text Editing>Show Page View). It might not be 100% accurate, but should be close if your page setup (File>Page Setup) matches the compile settings. Page Setup is generally set to 8.5×11″ paper with 1″ margins. I believe Page View will be in Scrivener for Windows version 3, but I don’t have the beta in front of me to check. Hope that helps!